This app is a must have tool for any event organiser who is on the go. Being able to create and maintain multiple events has never been easier. 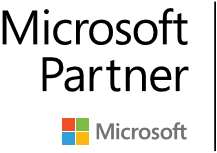 Using the Microsoft PowerApps platform not only do you have a fully functioning tool from the get go, you have a service that advocates mobility at its core. The simple easy to use interface will aid you in building your desired events from scratch. No data sources are needed for this version of the app as it will render and collect data on the fly refreshing only when you leave the demo. 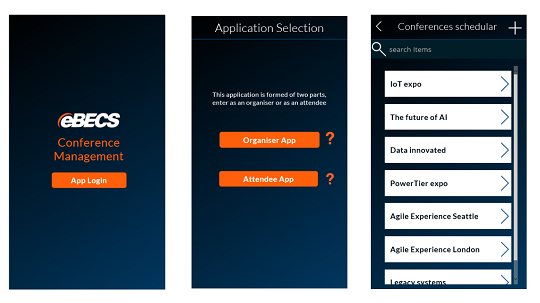 Once your personal conferences and associated sessions are built and ready to go jump into the conference attendee app. To complete the management suite there is the attendee app. This app would function separately if published and is the main consumption point when it comes to user data entry. 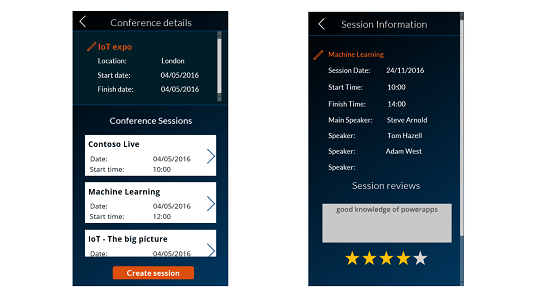 Attendees are able to search and display current conferences built within the app and review the sessions they visit. Enabling them to provide crucial feedback on the fly.